When it comes to artisanal cheese purveyors in Dallas, Scardello has the market cornered. The shop rotates its selection of nearly 150 types of fromage regularly and offers a variety of sandwiches, charcuterie, craft beer, and wine. If you aren’t sure what you’re in the mood for, ask one of the cheery cheesemongers to guide the way. We once visited a beer garden in a tiny town outside Munich, where all the parents sat at long picnic tables and the kids all gravitated to a fenced-in area at the center of the garden where they simply played and improvised new friendships. At the time, we wondered if that’s where they got the term “kindergarten.” We’re reminded of this scene every time we go to Chicken Scratch, because it captures this same laid-back, no-frills approach to family dining so well. Japanese food is one of the hottest trends in dining right now, and we credit Teiichi Sakurai for leading the charge. He thrilled us with his sushi restaurants Tei Tei and Teppo, and continues to blow our minds at Tei-An, where he showcases his handmade soba noodles. Ten, his tiny new street-style ramen shop has raised the bar for anyone looking to hop on that trend. If he opened a burger joint, we’d be the first in line. Readers’ Pick: Meso Maya’s Nico Sanchez is a stickler for details, and the quality of his dishes keeps the dining room packed. The food prepared by husband-and-wife team Olga and Raul Reyes pays homage to the Veracruz region of Mexico, where they grew up. Ceviche is made with snook; the mole takes four days to prepare. Red snapper cooked with onions, tomatoes, and peppers and decadent lobster enchiladas are just two of the specialties served in a festive atmosphere. Check their Facebook page for live entertainment (flamenco dancing!) and happy-hour specials. The cocktails are spectacular. Readers’ Pick: The Budin Azteca is just one of the many reasons why Meso Maya has such a loyal following. From hosting inspired, locally conscious events to battling for the rights of beer drinkers, Four Corners’ impact on this city reaches farther than their wide-mouth cans and cadre of approachable beers. 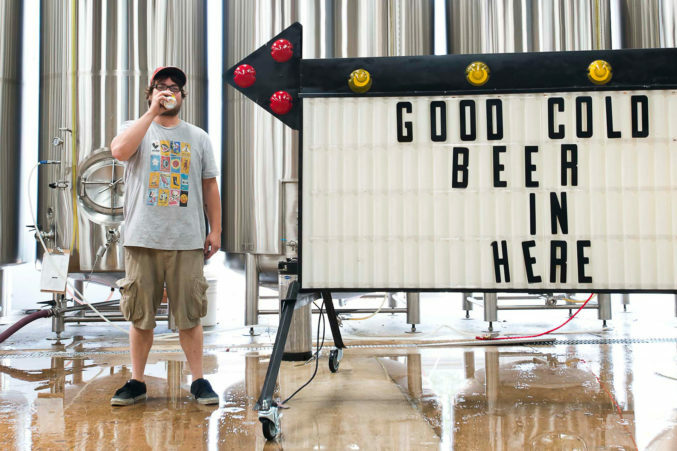 It’s a brewery that has become as much of a character in this city as the people who love its beer, which is most of us. Readers’ Pick: Deep Ellum Brewing Company exhibits courage in its brewing, which has led to an outstanding flagship lineup of beers. Method, the soft-spoken den of coffee-nerd nirvana, is the only shop in town that possesses a Slayer espresso machine. The baristas themselves are cunning masters of their craft without intimidating the most casual drinker. And while it is loved by many for its lavender latte, you’d be painfully remiss if you didn’t also try a pour over. Readers’ Pick: With fine food, exquisite coffee offerings, and a superb patio, Ascension has style and taste to spare in the Design District. It seems fitting that a restaurant named Blind Butcher would cook its French fries in duck fat. The thick cuts of golden brown potato are perfect for dunking in the restaurant’s house-made pickled ranch but are best when served as poutine—topped with cheese curds, duck confit, duck gravy, and a fried egg. You’ll need a fork for these fries. Readers’ Pick: Dip Hopdoddy Burger Bar’s hand-cut fries in truffle aioli. Deep Ellum’s new brewpub has created a real knockout. The Coma Burger starts with a mix of house-ground Black Angus brisket, Duroc pork bacon, and Texas wagyu top sirloin, basted with clarified butter. The patty is topped with shredded butter lettuce, smoked cheddar, fresh tomato, crispy shallots, and sweet onion jam, all stuffed between a brioche bun from Village Baking Co. that’s been brushed with more clarified butter and spread with stout mustard. 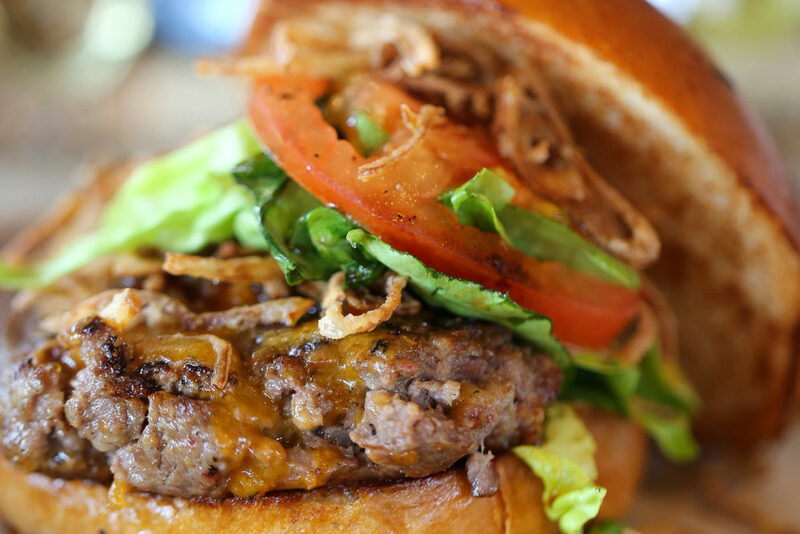 It’s a noteworthy addition to Dallas’ robust burger scene. Readers’ Pick: Snuffer’s has made one of the best burgers in town since 1978. From sushi rolls to gourmet sandwiches piled high with deli meats and cheeses, Eatzi’s is an ideal spot for a quick to-go meal or specialty item. It also features a coffee shop, bakery, and quaint produce section. Just be careful navigating the jam-packed parking lot. This rancher-owned butcher shop prides itself on offering products free of hormones, steroids, and antibiotics. The meat selection includes grass-fed, Angus, and wagyu beef; pasture-raised and Berkshire pork; and grass-fed lamb—all of which are sustainably and humanely raised. Plus, you can find chicken from Windy Meadows farms, and fresh dairy products that’ll allow you to make any meal farm-to-table. Readers’ Pick: Central Market’s butchers provide shoppers with choices such as high-quality beef, lamb, veal, pork, and poultry. 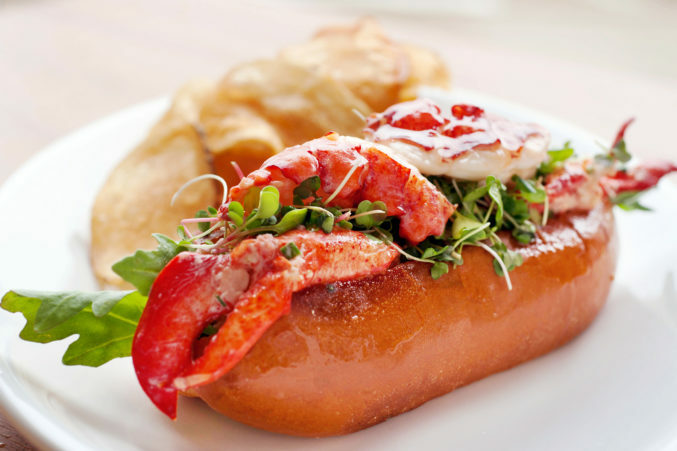 This burgeoning local chain was founded in 2012 by young Hunter Pond, and word quickly got out about its authentic lobster roll, with knuckle and claw meat bursting out of a buttered roll. But that’s not all that’s worth ordering at this gourmet sandwich shop. The ranch BLT (served with smoked bacon, romaine lettuce, tomato, and buttermilk herb dressing) and Cuban will keep you coming back time and again. 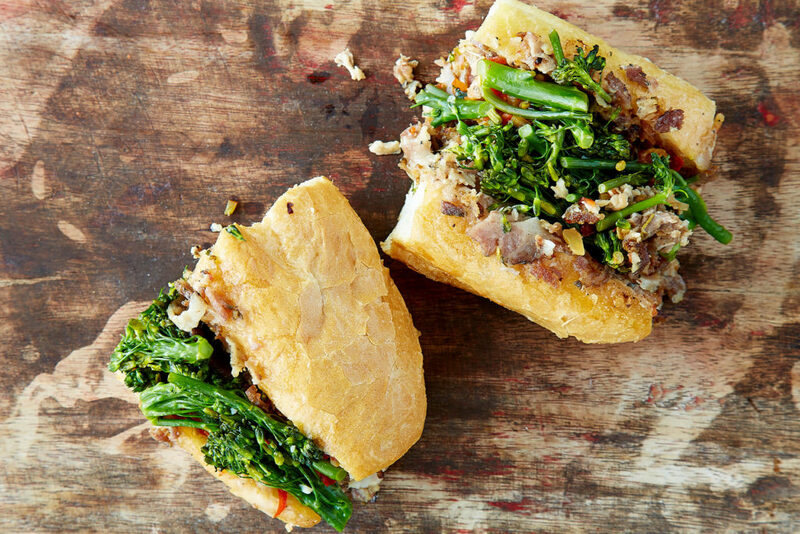 It also has some of the most substantial—and delicious—vegetarian sandwich offerings in town. Readers’ Pick: You can’t go wrong with an Italian sub from Jimmy’s Food Store. While she has been taking online orders and selling her pastries and desserts to Dallas restaurants for years, Bisous Bisous is chef-owner Andrea Meyer’s first storefront. The tiny shop in West Village specializes in a dozen flavors of macarons; highlights include pistachio, tiramisu, and peanut butter and jelly. The shop also sells a variety of croissants, eclairs, tarts, and a croissant-muffin hybrid called a cruffin. Wash all that sugary sweetness down with an espresso made with locally roasted Noble Coyote coffee beans. Readers’ Pick: A slice of Emporium Pies’ Drunken Nut is worth the long line. Cane Rosso keeps winning because it is, four years and four locations later, still the best. Owner Jay Jerrier, who was trained and certified by the Associazione Verace Pizza Napoletana in Italy, cranks out authentic Neapolitan pies like they’re going out of style. Good luck getting a table at the Deep Ellum location on the weekend. We recommend putting your name down for a table—an hour wait is common—and ducking next door for a pitcher of beer while you wait. Once just a tiny space with a small refrigerated counter crammed with fresh fish, TJ’s now has two locations, both with multi-tiered cases, instructional videos, free recipes, and condiments. Oh, and full-service dining rooms. Owner Jon Alexis has almost singlehandedly given area home cooks enough confidence to prepare seafood instead of chicken. The tradition established by “Mama’s Boys,” the Cuellar brothers who founded El Chico, lives on in Oak Cliff. The only spot still owned by the family serves Mama Adelaida’s vintage Tex-Mex food alongside some newer dishes. Grab a seat in the wayback machine and savor the past. Readers’ Pick: The oldest Tex-Mex in town, El Fenix, is still where fanatics go on Wednesday nights for the traditional $5.99 enchilada dinner. 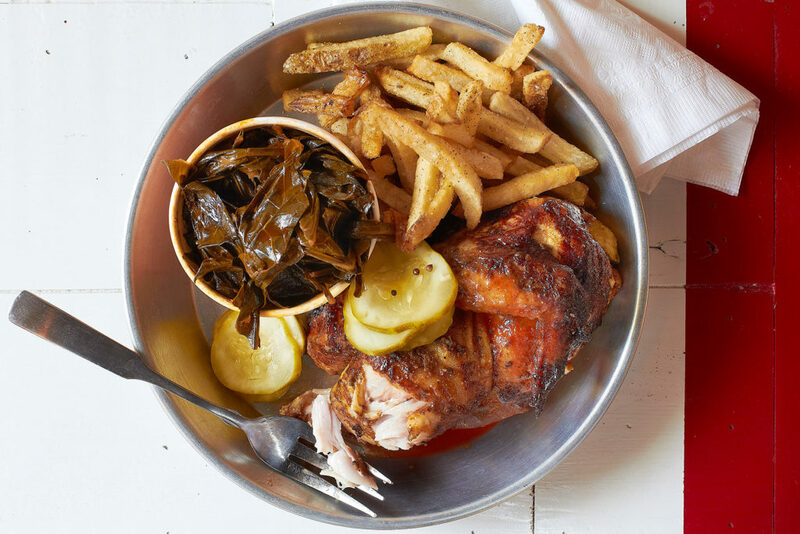 Smoke is just one of the secrets to the success of this fried chicken. Each piece is brined in smoked water, which adds flavor and moisture. Then the chicken is rolled in a proprietary blend of herbs and spices, double-fried, and set on your plate. It’s even better cold. Readers’ Pick: Huge family-style platters at Babe’s Chicken Dinner House make every meal feel like Sunday supper. 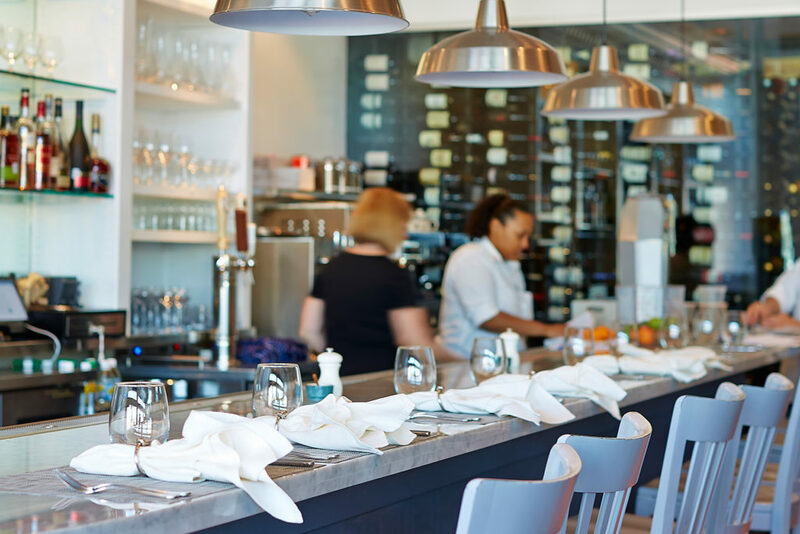 The spirit of a mom-and-pop restaurant is dressed up with white tablecloths and sophisticated service. Don’t let the dim lights fool you. The soul of the menu is based in the cuisine of Northern India with inspired versions of dishes from Bangladesh, Pakistan, and Goa. If you weren’t born in India, don’t order anything “Indian spicy.” Your head will thank you. 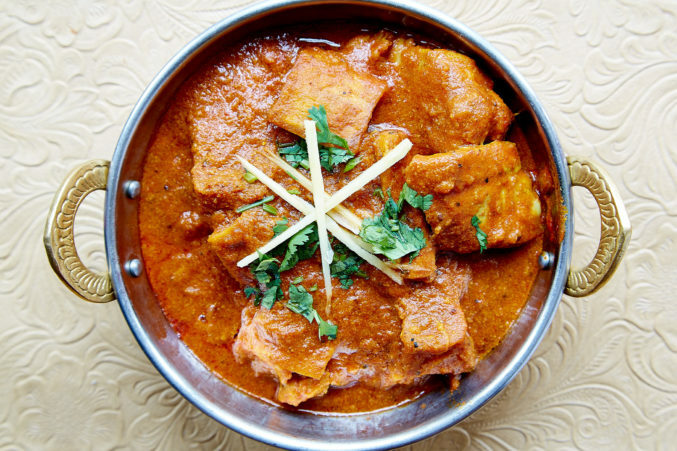 Readers’ Pick: Extra points to India Palace for introducing fine Indian cuisine to the Dallas palate in 1985. Swing open the barred glass doors of this counter-service spot and go for the goat. As in barbacoa roja de chivo, tender spicy goat meat wrapped in a hot, handmade tortilla. The choices such as birria de chivo (goat meat cooked in red broth) and chivo tatemado (birria prepared in a clay pot) are inspired by the cuisine in the Sinaloa state in northwest Mexico. Unlike the food, the decor is no-nonsense. Readers’ Pick: The sophisticated tacos, addictive queso, and margaritas at Torchy’s Tacos will keep families happy. What some people consider old-fashioned, we relish as comfort. Owner Pascal Cayet’s charming bistro specializes in classic French food such as Coquilles Saint Jacques, Canard Rôti au Cassis, and Profiteroles au Chocolat. 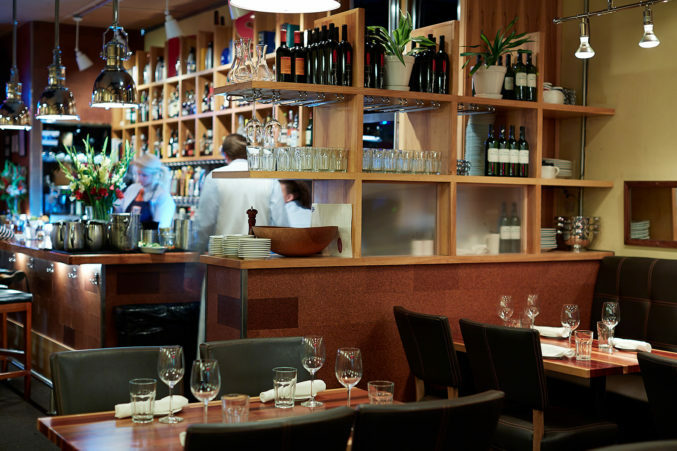 At dinner service, the lights are low, and you’ll be compelled to finish that French Bordeaux with a plate of cheese. Consider it a quick trip to Provence without the jet lag. Readers’ Pick: The French-inspired food, fun atmosphere, and craft cocktails at Boulevardier in Bishop Arts must be experienced. Maybe it’s the Sunday gravy or the difficulty in deciding which of the house-made pastas to order. Perhaps it’s the casual vibe or the sound of corks popping from a bottle of Italian wine. It’s hard to pinpoint the exact attraction of the Italian-American food served here, but sometimes a simple plate of spaghetti and meatballs is an offer we can’t refuse. Readers’ Pick: Dining at Lucia, chef David Uygur’s Italian-with-a-European accent restaurant in Bishop Arts, is a special experience—if you can snag a reservation. Chef Brian Luscher got so tired of trying to find the perfect Chicago-style dog in Dallas that he decided to make his own. 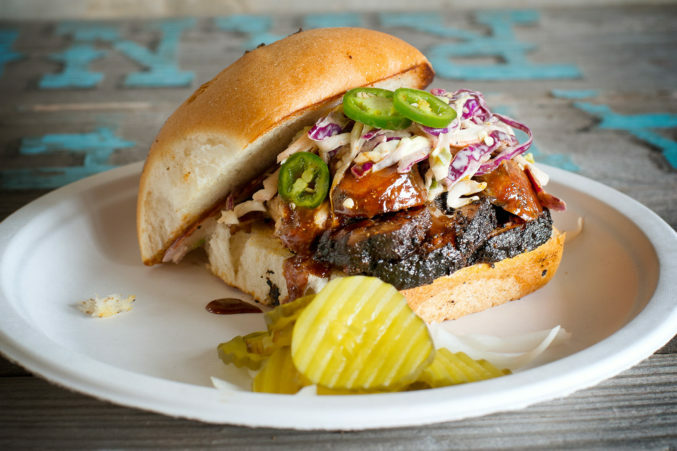 His new spot in Deep Ellum is a temple where worshipers flock for Luscher’s custom-smoked pork and beef franks. They’re served with gourmet accoutrements such as horseradish, beer-braised onions, giardiniera, and “sweet pants” barbecue sauce. Standing in line for a plate of luscious beef ribs or moist brisket is a rite of passage for anyone who wants to join the cult of Pecan Lodge faithfuls. Diane and Justin Fourton continue to draw meat lovers from all over the world. In addition to the barbecue, a sprawling patio, live music, local beer, and curated wine list make it even more irresistible. Chef John Tesar has reinvented the Dallas steakhouse by offering a wide variety of Texas meat. Go high-end and order the 240-day aged, $80-per-inch ribeye, or settle on a $12 burger. In between, you can choose a culotte cut, flat iron steak, or a luscious filet from nearby 44 Farms. No matter what price point you choose, the clubby atmosphere is free. Readers’ Pick: Maybe one day a whole orange carrot, the signature item at Bob’s Steak & Chop House, will replace Pegasus as our city mascot. Rock star sushi chef Tyson Cole has finally landed in Dallas. 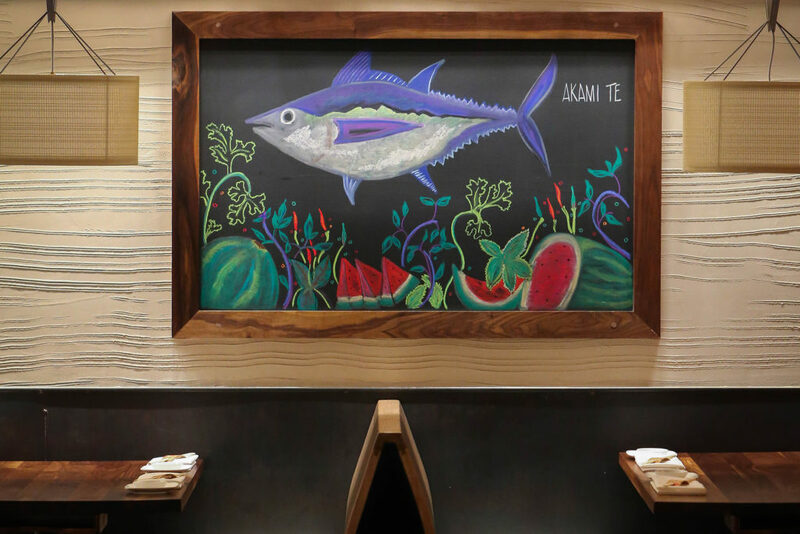 Uchi, his award-winning, Austin-based Japanese restaurant, opened in June. Belly up to the bar and order the anago—salt-water eel tuned up with a touch of orange and ginger—or choose one of the oh-so-fresh and innovative sushi offerings from the hot and cool tastings menu. You may have to wait, but time goes fast when you sip one of the 18 sakes offered. Readers’ Pick: The Blue Fish opened in 1998 and has attracted a loyal following of hip sushi lovers looking for a high-energy experience. Home to probably the most PC menu in town. Non-GMO! Free range! No hormones! Super foods such as quinoa, kale, and Swiss chard join organic vegetables to create well-balanced and tasty vegan and vegetarian dishes. The avocado stuffed with tomato, feta, black beans, and sweet corn could even convert a stubborn carnivore. All of that goodness comes with a full bar and nifty patio. Readers’ Pick: HG Sply Co. accommodates all dietary restrictions and passions. The last time we were in this elegant restaurant, we spotted a large group of Buddhist monks wearing orange robes. The table was filled with platters of exotic Thai delicacies. All around us, people were speaking Thai, and if we hadn’t seen a pickup through the window, we could have fooled ourselves into believing we were in an intimate cafe in Bangkok. Nick Badovinus’ restaurant is not technically a seafood restaurant, but the menu offers the freshest seasonal and sustainable fish in town. Preparations of wild salmon, soft crabs, black bass, fluke, Norwegian cod—to name a few—are simple yet sophisticated. 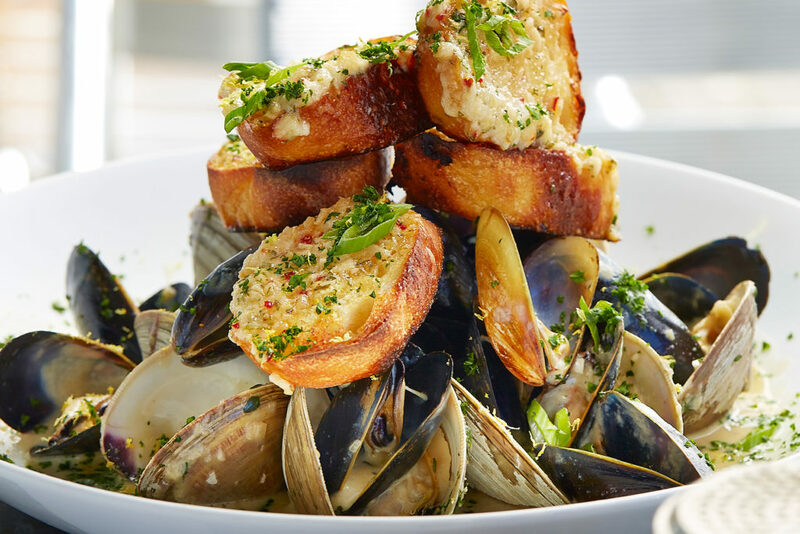 Badovinus will really showcase his flair for fish when Montlake Cut, his restaurant that is a love letter to his hometown of Seattle, opens in Preston Center. Readers’ Pick: Dallas may be landlocked, but seafood lovers do not suffer for quality at TJ’s Seafood Market. There are too many places to buy poorly stored wine. La Cave is the only retail wine shop that stores every bottle, no matter what the price, in precise cellar conditions. If you still cling to the sanctity of vintage, you will find an enormous selection of collectible wines with prices that range from $10 to $4,500. Readers’ Pick: Any bottle you drink at Times Ten Cellars, you can also purchase to take home. When owners Allison Yoder and Stephen Rogers opened this tony spot, they made it clear they wanted to provide a late-night destination to others who work long hours in the restaurant industry. The served-until-1 am menu features everything from grass-fed tartare to pappardelle with rabbit. The idea has been a success. Thomas Keller was recently spotted at Gemma devouring a plate of veal cheeks. Readers’ Pick: Velvet Taco is open until 4 am Friday and Saturday. Village Baking Co. is the place for lovers of a finely crafted loaf. Crusty rounds based on a European model have a chewy, resilient crumb and incredible flavor, whether it’s rosemary-Meyer lemon, cranberry-walnut-raisin, or tangy plain levain. You’ll be hard pressed to pick a favorite. Readers’ Pick: Empire Baking Company erased the white-bread mentality from our lunch box and filled it with jalapeño cheese bread and other sensational artisanal breads and pastries. Smooth, subtle, and dreamy, Remedy’s ice cream deserves a more retro name like frozen custard. We expect no less from a place modeled on a soda fountain. 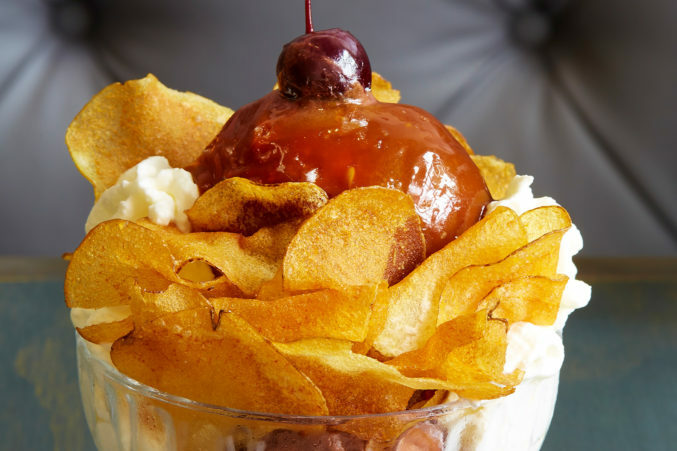 Vanilla and chocolate—but also rotating flavors like banana pudding, goat cheese, and coffee—form fantastical sundaes. Or perhaps you prefer a plain scoop at the counter. Readers’ Pick: Thank you, Paciugo Gelato Caffe, for introducing the wonders of rich, handmade gelato to Dallas. Brunch is chef Roe DiLeo’s favorite meal, and it shows. The menu’s ample range is inviting. A jovial staff, sunny patio, playful cocktails, oyster specials, and dishes like pork belly and grits, eggs Benedict over corncakes, and French toast with tart cherry compote conspire to make Sunday morning festive and fun. Readers’ Pick: Bread Winners Cafe offers the War and Peace of brunch menus. Triple-chocolate decadence has its place, but more rare is the dessert that strikes a perfect chord with disparate notes. At Mot Hai Ba, lemongrass makes the panna cotta, rich with coconut milk, feel both luscious and light, while raspberry sorbet and peanut crumble harmonize perfectly. It’s a reminder of how skillfully chef Peja Krstic brings textures and flavors together. Readers’ Pick: What happens when you bake a croissant in cream and cover it with crushed housemade English toffee and salty caramel ice cream? The signature bread pudding at Stock & Barrel.